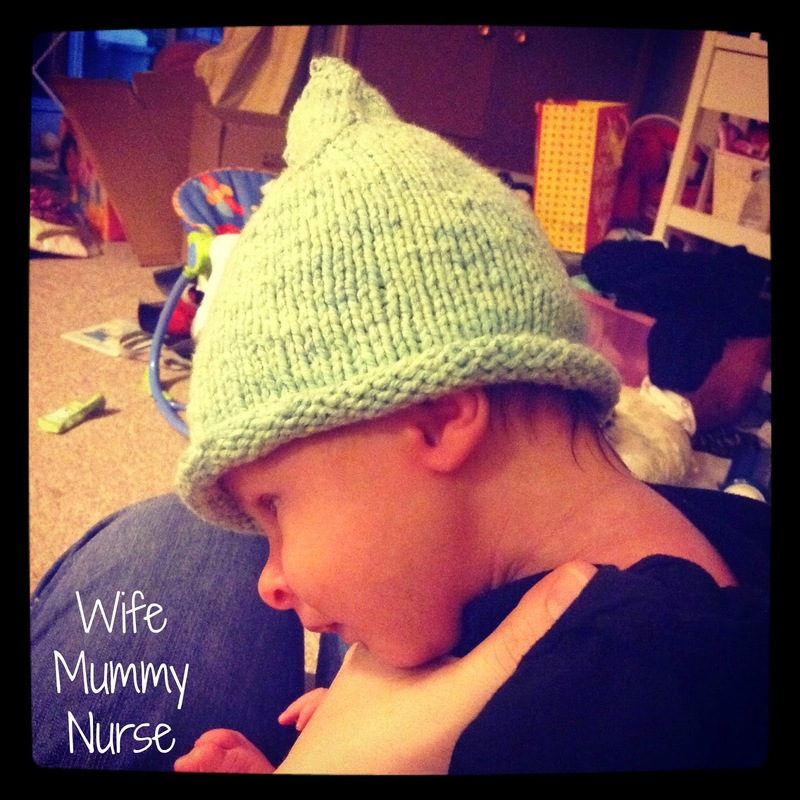 I knit this gnome hat ages ago-before I was pregnant. I had planned on saving it to give to the next woman who had a boy, but when I found out I was pregnant, there was no way I could give it away. Meet the little gnome. I had a picture where he was smiling at me. It made my heart happy, but the picture was also blurred because he was moving too much.